A door or window is the most likely point of entry in a robbery or forced entry. 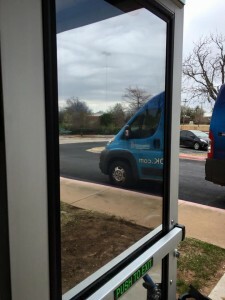 Did you know that there are security window film options that help prevent unwanted entry into a home or business? These films can be used for safety reasons as well as to mitigate smash and grab robbery or home break-ins. On this project, the team at Adams Window Tinting installed a Huper Optik Silver Shield tinted 8 mil security film along with a Pentagon Protection Attachment System at Life Church in Midwest City, OK. 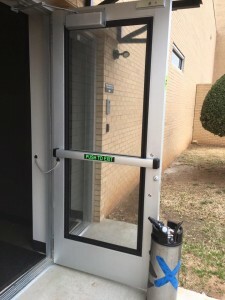 This film and attachment system will make it significantly harder for anyone to gain access through a door or window that has been protected. 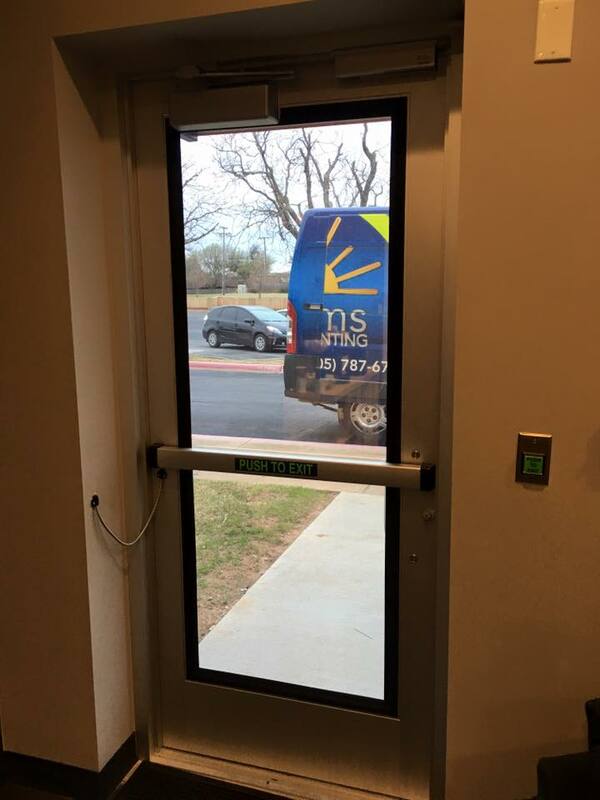 Contact Adams Window Tinting today at (405) 787-6798 to find out how security window film solutions can help prevent unwanted entry. We would be happy to provide you with a completely free, no obligation assessment and estimate of implementing a window tinting solution on your home or office project. Security film with 4 sided attachment Pic 1. Security film with 4 sided attachment Pic 2.